You can contact us directly or complete the form below and we will be happy to contact you. 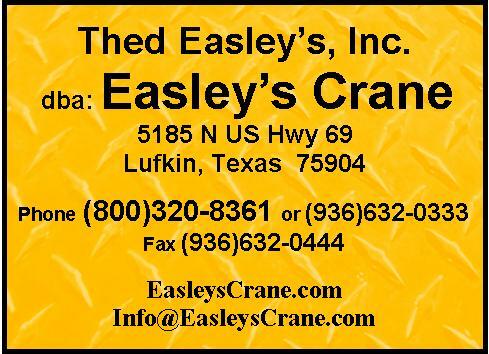 Copyright 2010 Thed Easley's, Inc. dba: Easley's Crane & Wrecker Service. All rights reserved.